No matter where we are, this will always remind us of home! 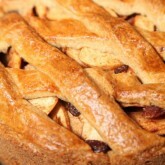 Warm apple pie is the classic bake in Holland, to go with coffee or to get for dessert. Almost everybody loves it. Even families that almost never bake anything will probably know how to bake an apple pie or have a family recipe lying around. The classic Dutch apple pie always uses self raising flour in its dough and will usually have tart cooking apples for the filling. There will certainly be cinnamon in it and probably raisins, but the pie is also perfectly lovely without them. Mix self raising flour, salt, soft light brown sugar and butter in cubes. Rub with fingertips until you have a mixture resembling bread crumbs. Add the 3/4 egg and quickly knead the ingredients into a smooth dough. Leave to rest in the fridge for an hour. Peel the apples and cut each apple into 4 equal parts and cut each part into 5 thick slices, sprinkle with lemon juice to prevent oxidation . 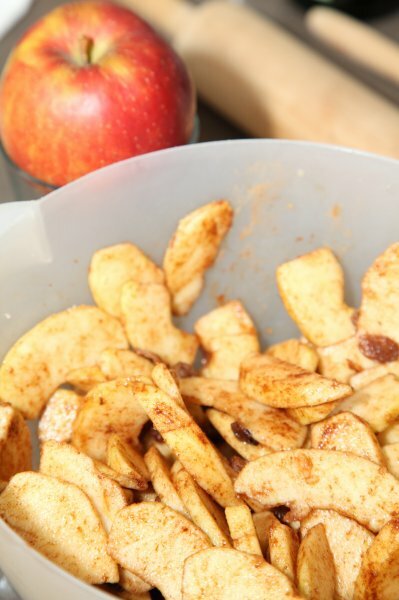 Add the cinnamon and 50 grams of sugar to the apples and stir. Add the raisins, leave them out if you do not like them. Cover and set aside. Preheat the oven to 175ºC / 350ºF. Line a round buttered springform baking tin (20-22 cm) with 3/5 of the dough. 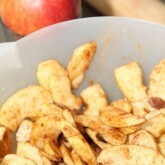 Add the prepared apples. 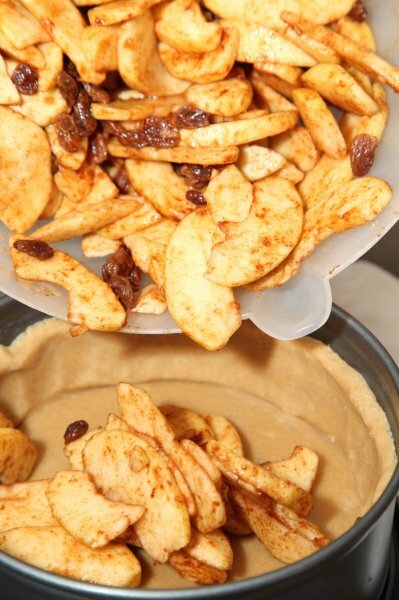 Make sure to distribute the apple slices evenly and to fill the pie so it is firmly packed with apple (the apples will slink from baking). Shaking the tin a bit might help you to achieve this. 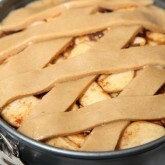 Now with the left over 2/5 of the dough make a grid/lattice on top of the apples. Brush the grid lightly with the 1/4 beaten egg (add a bit of water to the egg to make it easier to brush). 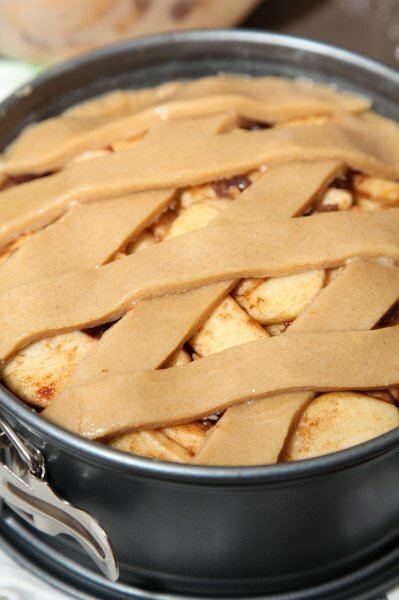 Bake the pie for 60 to 70 minutes, depending on your oven. Leave to cool. You can eat it warm, which is very nice, but I like it even better when cooled completely. 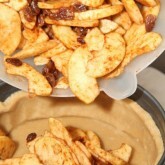 This was the best apple pie I ever made! The amounts of everything were perfect! I added the grated rind of a lemon to the apple mixture. It was a great idea to roll out the dough in between twho sheets of cling wrap. 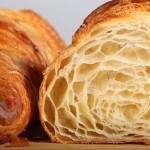 In the end the dough became a little soft to handle, but the lattice plumped up beautifully in the oven. I was going to leave a picture, but I can’t. Wonderful, thank you! 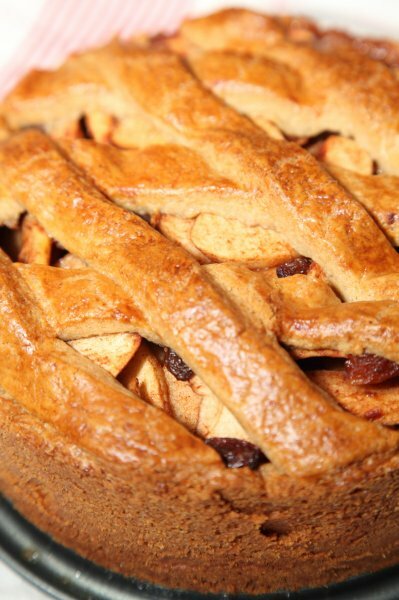 This apple pie is famous and can be eaten all over Holland, but nothing beats the fresh baked home made version! So if you have the time…we would love to see them! For 300 g of self raising flour, do I mix 12 g baking powder with 288 g flour, or add 12 g of baking powder to 300 g flour?? You can add the 12 g baking powder to the 300 g flour and the dough will be fine. 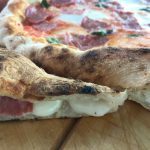 How the dough comes together also depends on the exact amount of egg you use and also the properties of the flour. 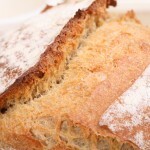 If you think your flour is a bit too dry you can always add a bit of extra egg. Enjoy the baking and tasting! I love your recipes. At the risk of sounding heretical, what would your recommendations be for veganising your recipe? I love dutch apple cake, but can’t have dairy. W do not find this heretical at all, but we are not the experts to ask what vegan substitutes would work best. You probably have way more experience what vegan butter and egg substitute to use. Hope you will give it a try and if your results are to your liking, maybe we can inform our followers about it so they benefit too! 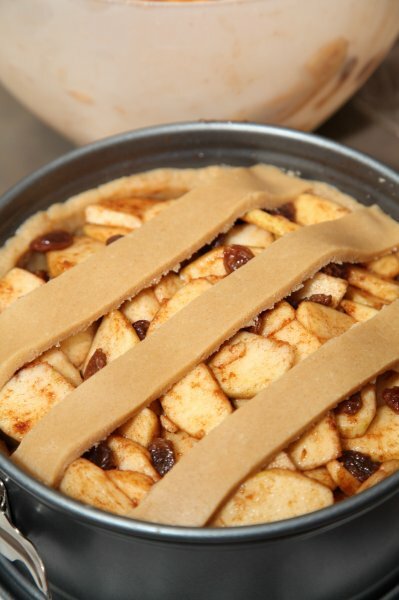 This looks, in the pictures we see, like the same dough as we all use for a classic Dutch apple pie. Because the apple pie in almost any bakery or cafe is served a while after baking the crust goes a bit softer and you could look at it as getting more of a cake-like consistency. Fresh out of the oven and cooled, the crust would be a combination of a little bit more bite on the surface and still the softer interior (because of the baking powder we use in the dough). So when you make this pie you will discover for yourself how it behaves, fresh, after a few hours and after a day or so. Delicious! I tried rolling the dough out twice before patting it into the pan. Much easier. There weren’t any instructions on rolling out or how to get it into the pan.Maybe you coukd add that in the recipe? Thank you for your feedback. This recipe was added to our website quite some years ago and we see that it needs some updating. 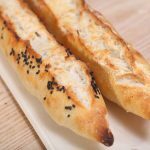 Over the years we have made new recipes (mostly bread and pastry) with much clearer instructions and pictures. You did very well rolling the dough and patting it in the pan. Sorry about the lattice. We are so used to making strings of dough and placing it on the pie, like most our mothers showed us, that we did not think this through. And the light muscovado sugar we use in Holland, is much ‘wetter’ than caster sugar which also makes a difference. So we need to add some more instructions and pictures to this posting. Much appreciated and hope you enjoyed the pie nonetheless. Er staat: mix in flour, salt, baking powder, maar in de ingredientenlijst staat geen baking powder genoemd. Ik was altijd in de veronderstelling dat je dat niet hoeft toe te voegen als je zelfrijzend bakmeel gebruikt. Dus wel of geen bakpoeder toevoegen? Hallo, je hebt helemaal gelijk. Er hoort geen extra bakpoeder in het recept, zelfrijzend bakmeel is genoeg. Veel bak plezier! Is baking powder zo belangrijk. Hoeveel moet Ik toevoegen? Er gaat gemiddels 1 gram baking powder per 25 gram bloem in een recept. Ik zou dat hier ook aanhouden, dus dan wordt het voor 300 gram bloem 12 gram baking powder. Ik weet niet precies wat de samenstelling en het ‘enthousiasme’ van de USA bakpoeder is, maar je kunt dit als uitgangspunt nemen en wellicht nog iets minder gebruiken. Hi, I tried your Dutch Apple Pie recipe at the weekend after harvesting lots of our own apples and I have to admit it was amazing. In the UK we generally use short-crust pastry for apple pies, but your pastry was so soft. The only problem I had was rolling it out as it kept on breaking up and I had to patch it. I thought it was a little dry after I added the egg. Do you have any tips for stopping this happening? I have to admit that it was in the fridge for longer than an hour but I got it out at least an hour before I used it. 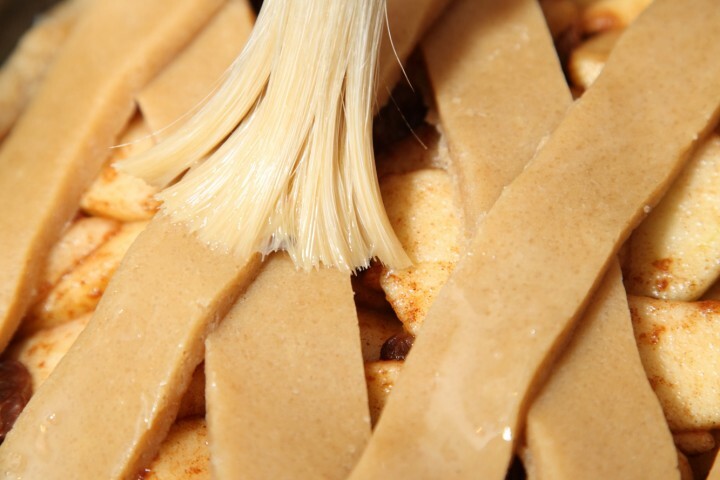 So great you made our apple pie! You are right about the dough being a bit delicate. I usually roll my dough between two sheets of clingfilm. 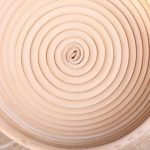 I know a lot of Dutch people who press the dough for the bottom in with their hands, then make the rim by rolling a sausage shape and pressing that in. 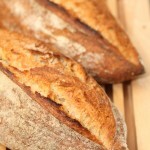 It is all a bit ‘rustic’ but the result we all find delicious and it is indeed very different from the shortcrust. The dough is not supposed to be dry. I do not know if you used the muscovado sugar because that can make a difference, but I would suggest to add a bit more egg if you find it too dry. Because apart from it being a little delicate to work with it should feel nice and supple and smooth. 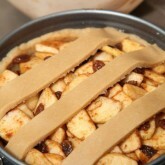 Hope you will make it again but I can also recommend the Normandy apple pie (see link above). It is my personal favorite! Thanks for the comments, Marieke. I didn’t use Muscovado sugar. All I had was Soft light brown sugar so maybe you’re right as that would have added a bit more moisture. I will try again with the correct sugar and roll out with clingfilm as you suggest. I am happy with rustic though, it didn’t detract from the final product. Hi, thank you for this receipe! I’m gonna try it definetly.Only one question: how can i conserve the apple pie? Apple pie is always best when eaten freshly baked. Some people like it warm, I also like it very much after it has cooled completely because the taste is more intense. I would suggest keeping it at room temperature for no more than one day, especially when the weather is warm, because the apple, even after baking, can still go moldy. After that I would keep it in the fridge for a maximum of 3 to 4 days. If you want to conserve it longer I suggest the freezer.